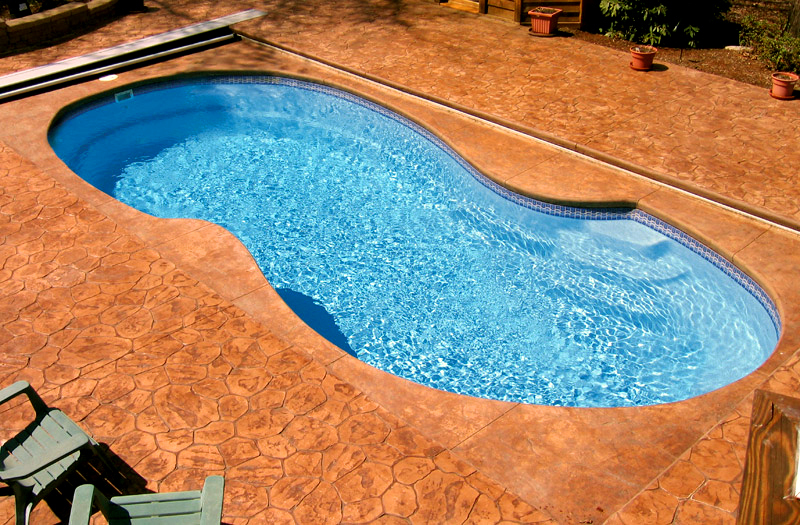 Patriot 23 - 12' x 23' x 3'6" - 5'6"
The design of the Patriot fiberglass pool is based on the idea to create a lagoon-like experience by designing a figure-8 shape. 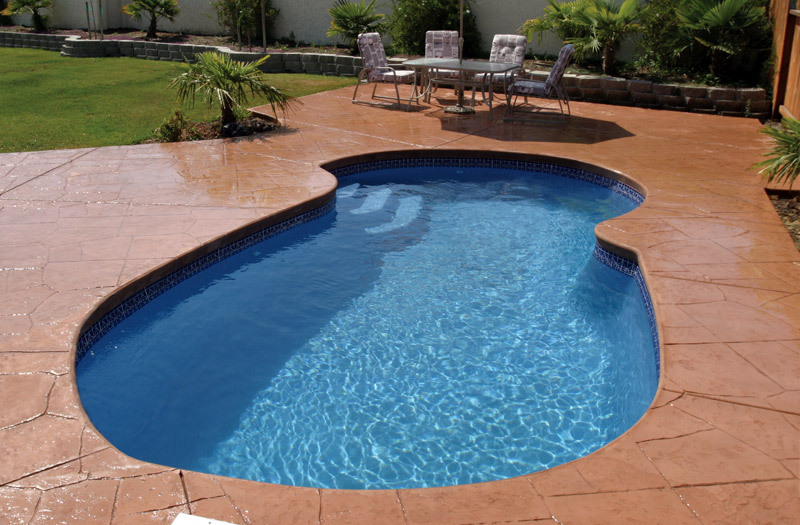 This model offers 3 built-in curvilinear steps along the side and a stunning built-in bench wraps around the deep end providing ample adult seating. 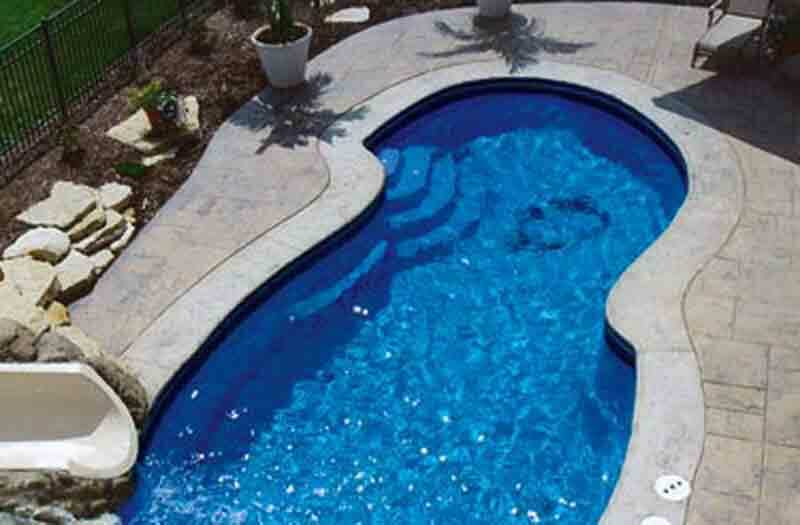 This freeform design flows with gentle curves, making the Patriot a delight to landscape around and transforming your backyard to a free-flowing wonderland. 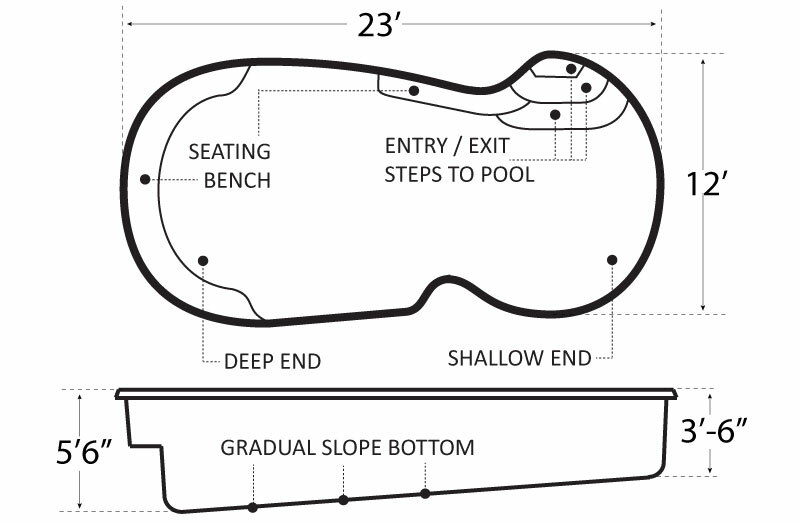 The dimensions of this inground pool are 12' wide, 23' long, and slopes from 3'6" to 5'5" deep.